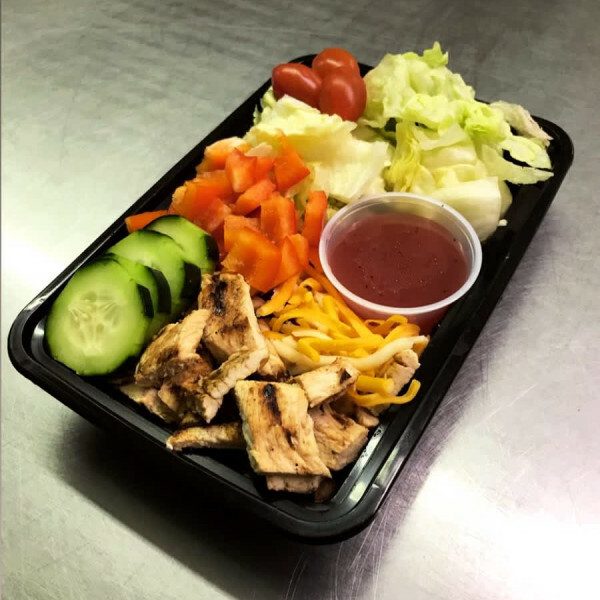 Our New Black Pepper Chicken Salad is paired with a Raspberry Balsamic Vinaigrette. 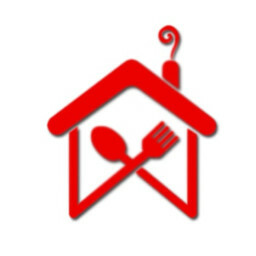 Fresh iceberg lettuce, cherry tomatoes, mixed cheese, cucumbers and red peppers complete our new salad to provide you with a nice refreshing meal. 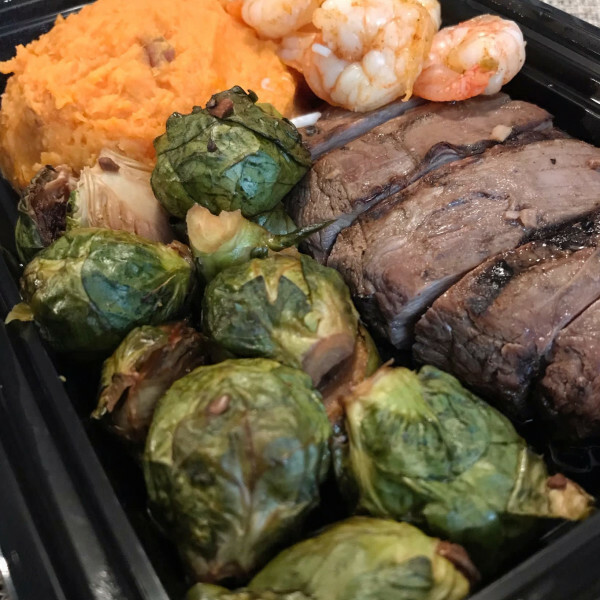 Our Flank Steak served with eight shrimp along with your choice of two sides. 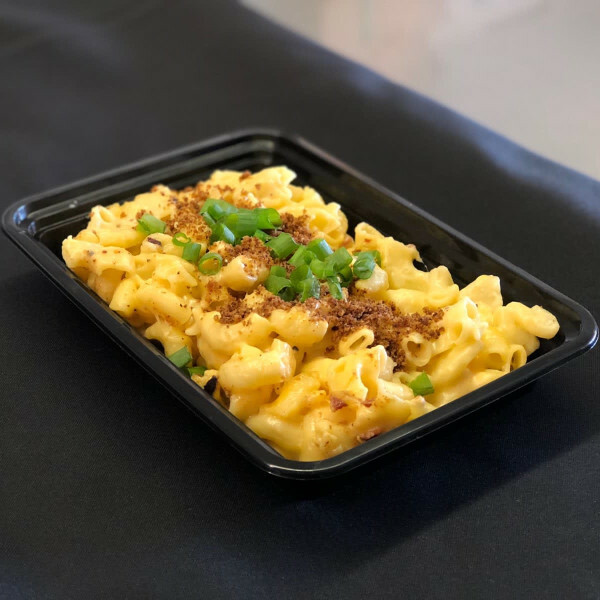 Jalapeno Chicken Mac & Cheese topped with turkey bacon, baked bread crumbs and green onions. 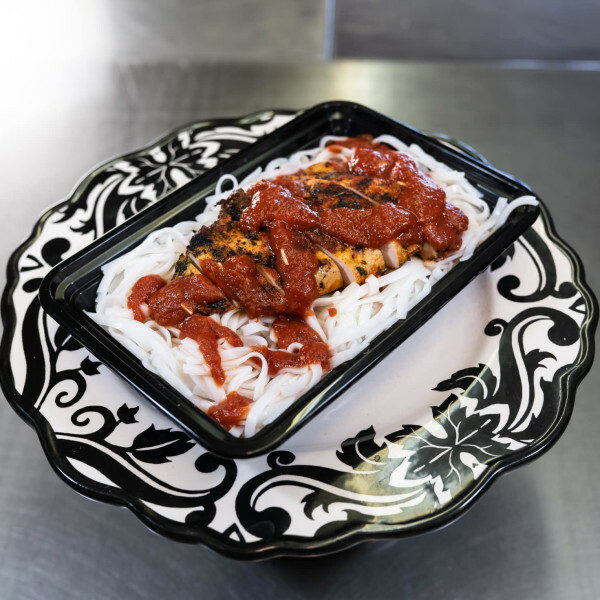 Garlic marinated chicken covered with our homemade pasta sauce, topped with melted Parmesan cheese on a bed of whole wheat angel hair noodles. 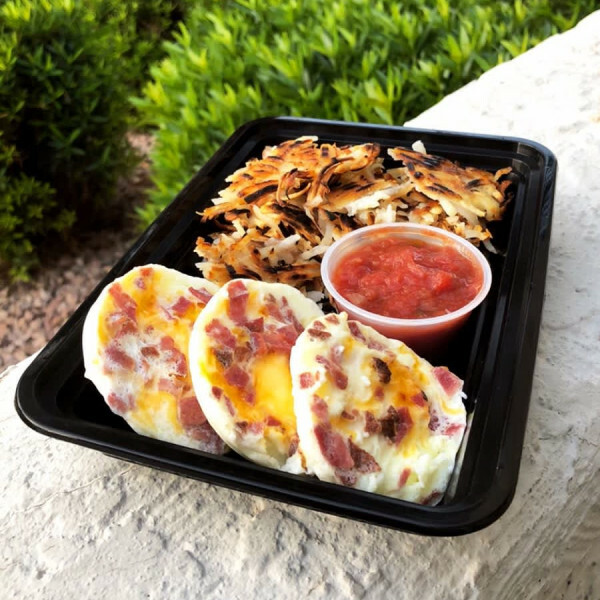 Three whole eggs baked with turkey bacon and mixed cheese to perfection, pared with a side of hash browns and salsa. 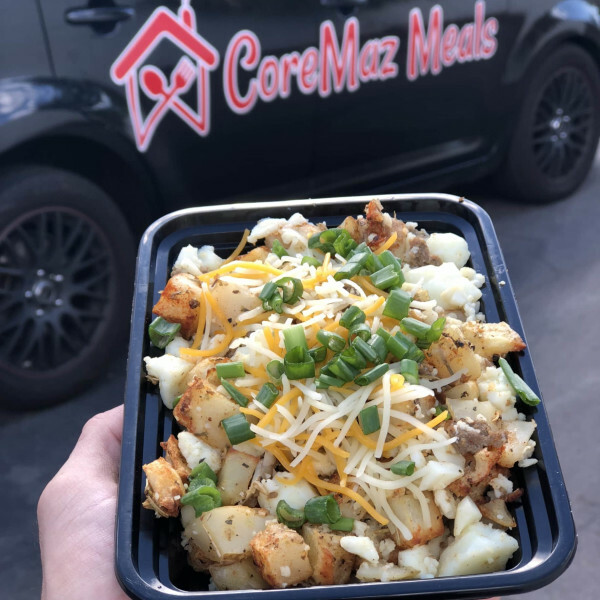 Ground turkey sausage with egg whites, diced roasted potatoes, topped with cheddar jack cheese and chopped green onions. 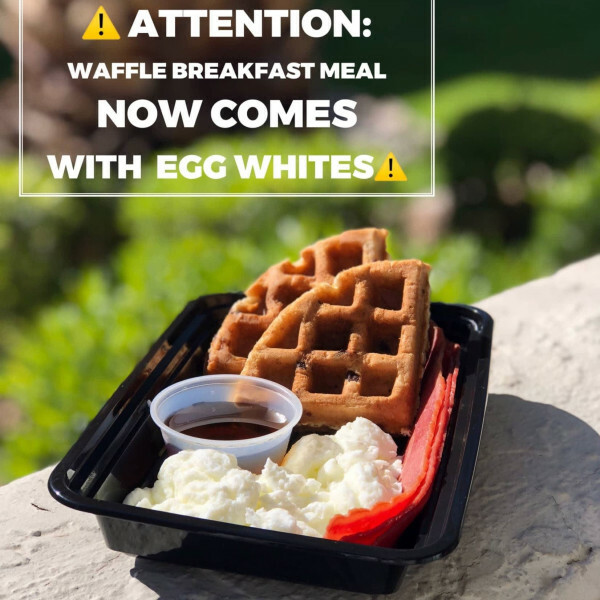 Our breakfast meal comes with 2 delicious waffles packed with loads of protein, oats, and chocolate chips, a side of turkey bacon, egg whites, and some sweet maple syrup. 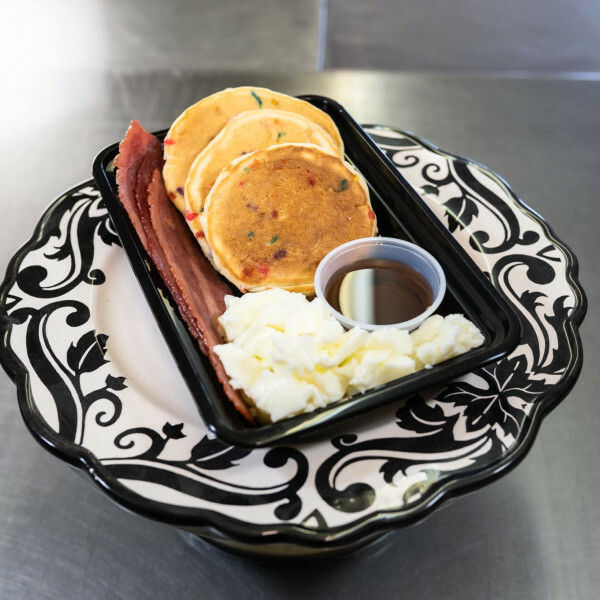 Our Funfetti Pancake Breakfast comes with two moist, delicious Funfetti Pancakes, a side of turkey bacon, egg whites, and some sweet maple syrup. 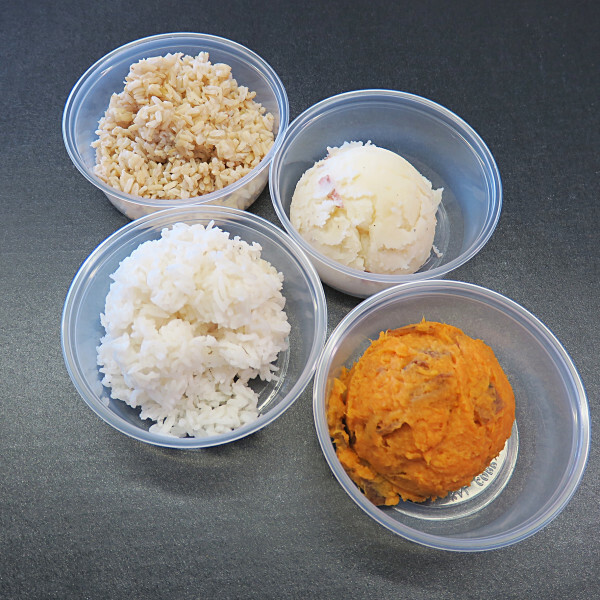 Choice of chicken, starch and veggies. 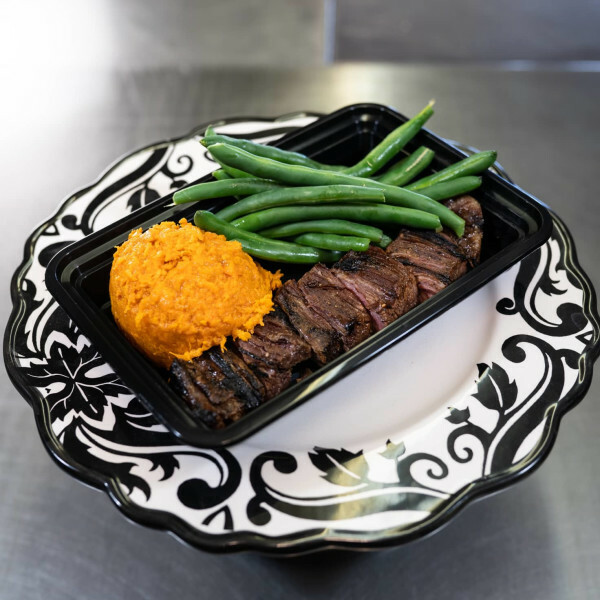 Served with flank steak slices. 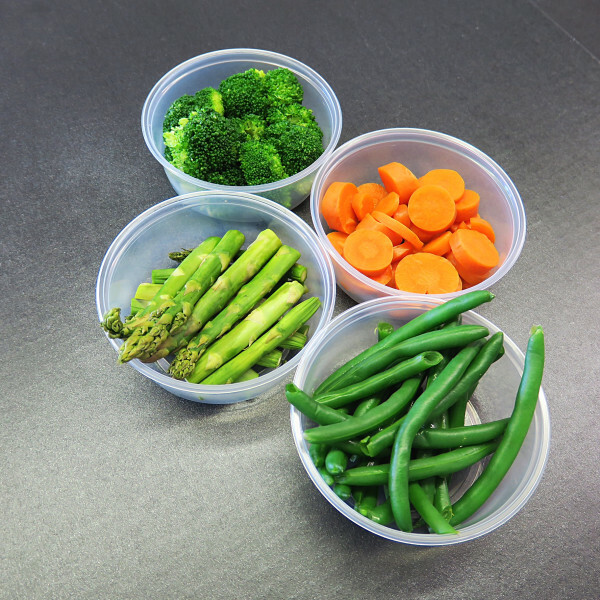 Choice of starch and veggies. 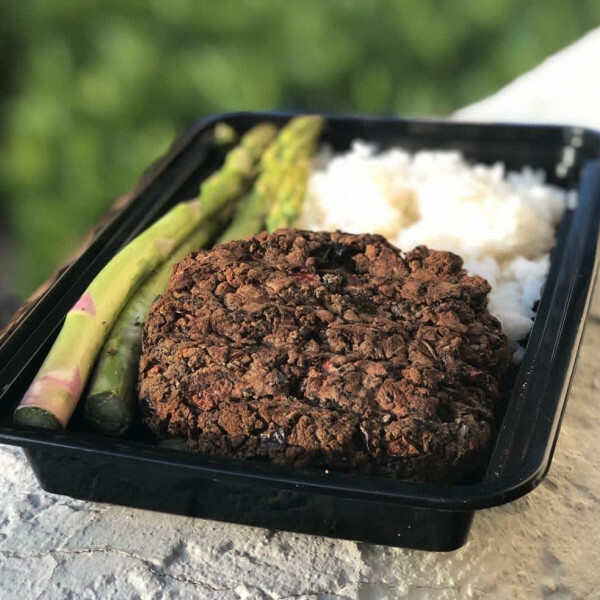 Served with a Turkey Patty. 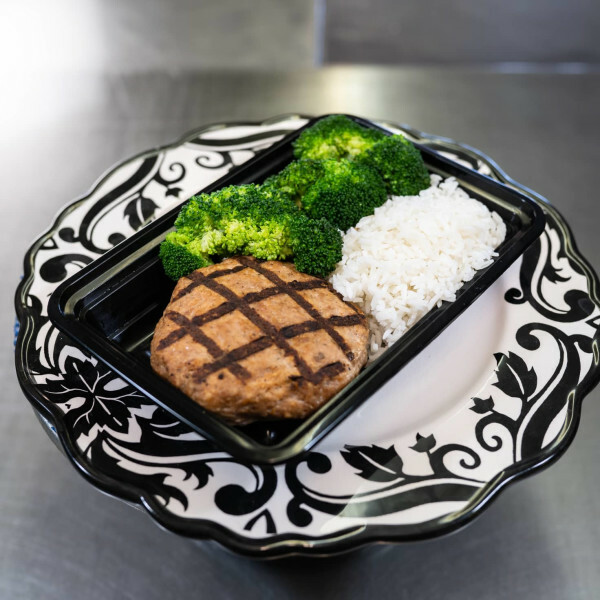 Choice of Ground Beef or Shredded Beef, starch and veggies. 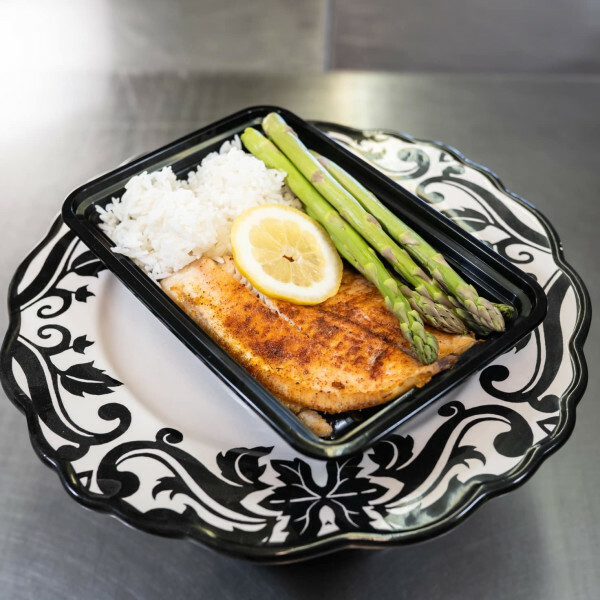 Our brand new fish meals comes with a delicious filet of Southwest Chipotle Tilapia. 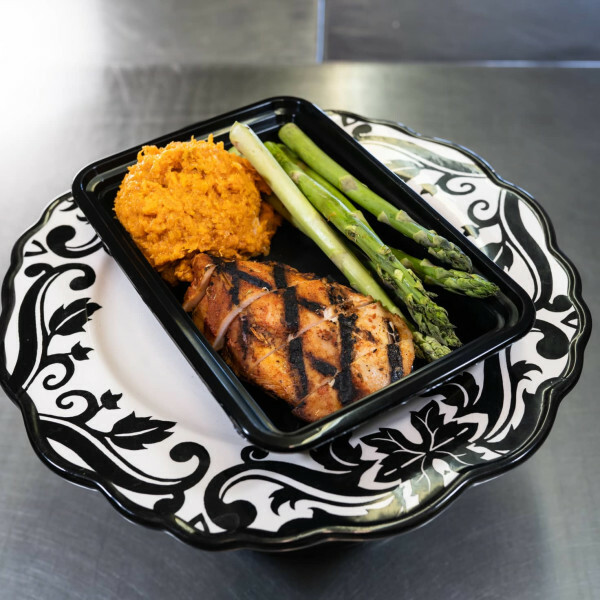 It is paired with a side of asparagus and lime rice (your choice of brown or white). 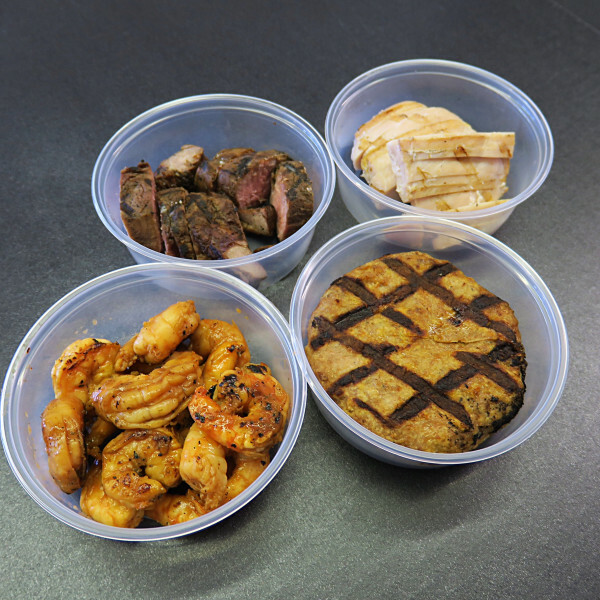 ***Disclaimer: The Fish Meal is only good for 3 days vs the 7 days of all other meals. 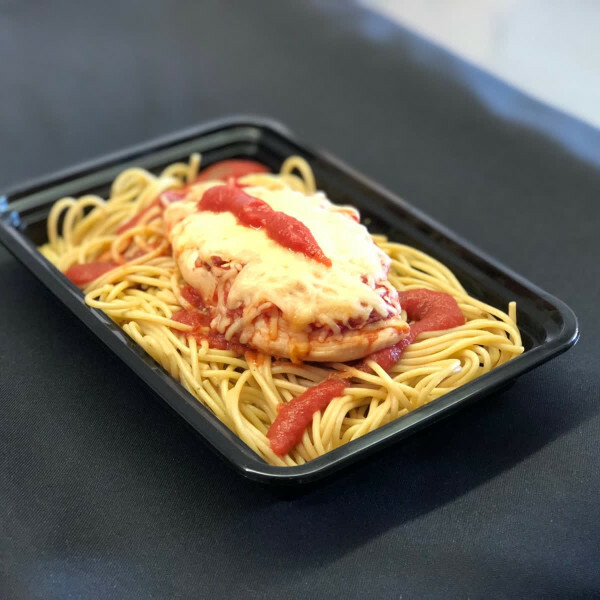 Our Pasta Meals come with your choice of chicken breast or turkey meatballs, rice noodles or whole wheat pasta, and a delicious red pasta sauce. 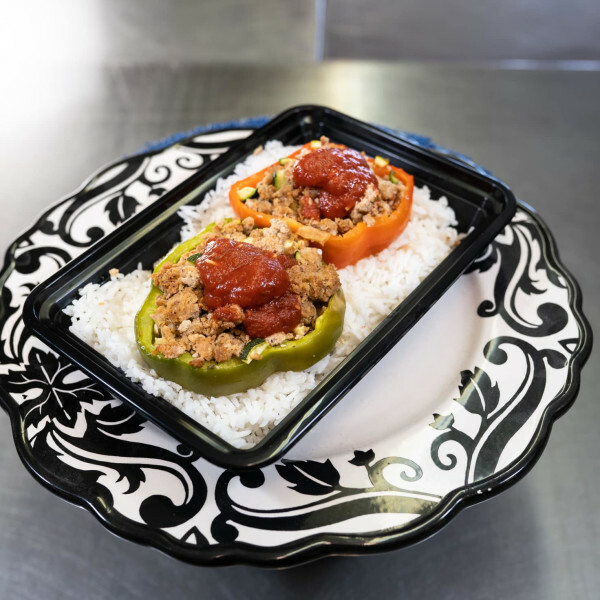 Our Stuffed Bell Pepper Meal comes with one green and one red bell pepper stuffed with turkey and diced zucchini served with either white or brown rice. 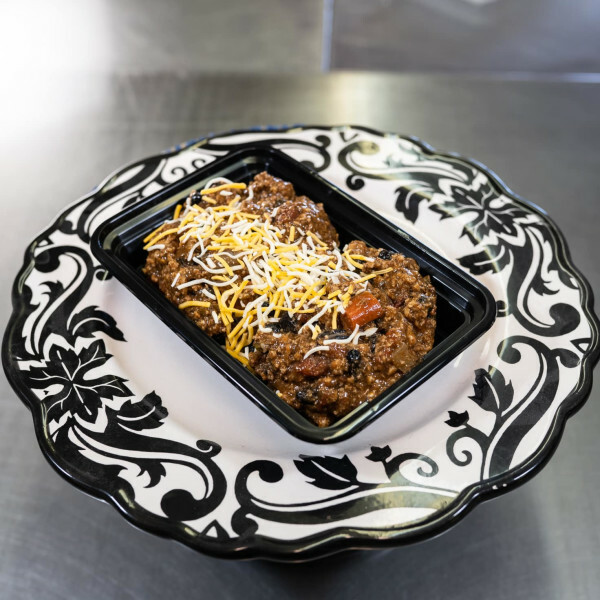 Our delicious Turkey Chili comes with a healthy serving of protein packed turkey, red bell peppers, onions, black beans, our custom CoreMaz chili sauce topped with cheddar jack cheese. 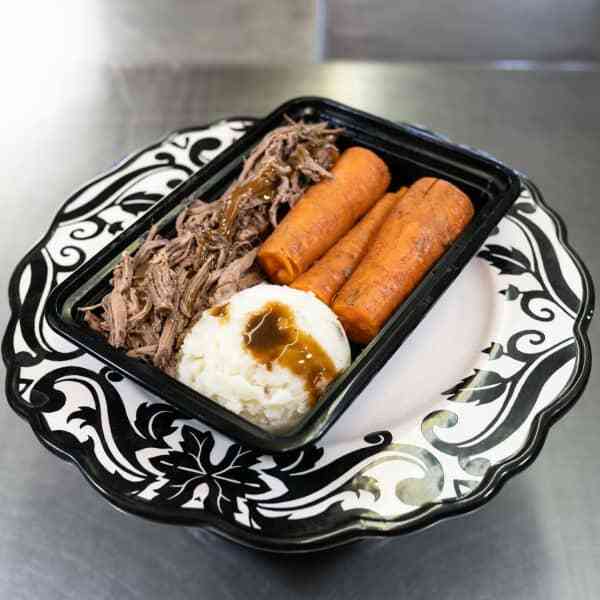 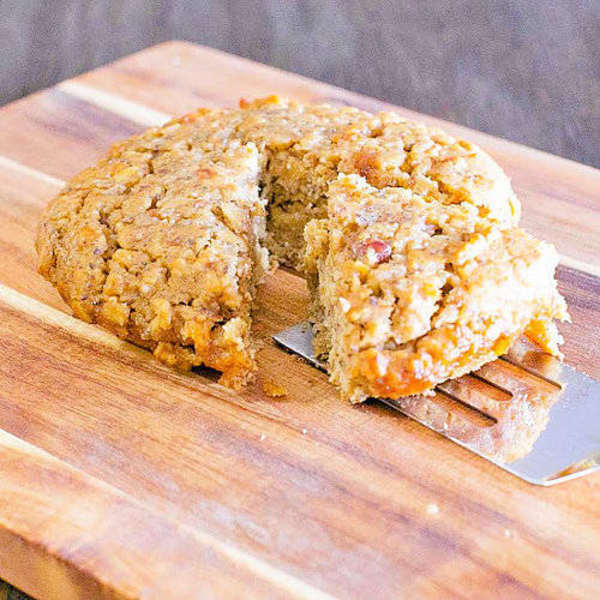 Order today and get those taste buds tingling! 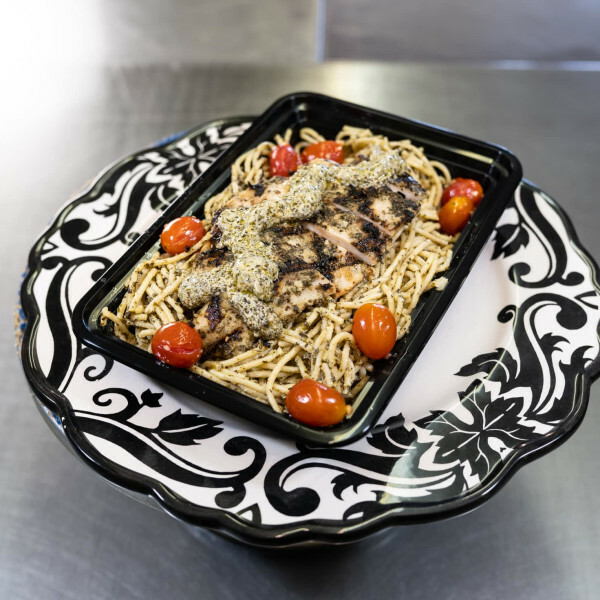 Our decadent Garlic Chicken Pesto Pasta come with a healthy carb-packed serving of wheat angel hair pasta, a savory pesto sauce that will leave your taste buds tantalized, as well as some juicy roasted tomatoes, all topped with a protein packed portion of garlic chicken. 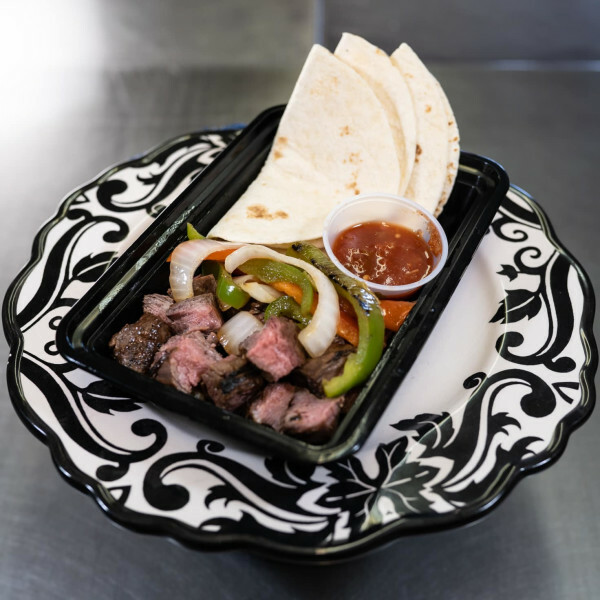 We throw in some sautéed red onions, red and green bell peppers, a side of mild salsa, and 3 flower tortillas with delicious chicken or steak for this fajita meal. 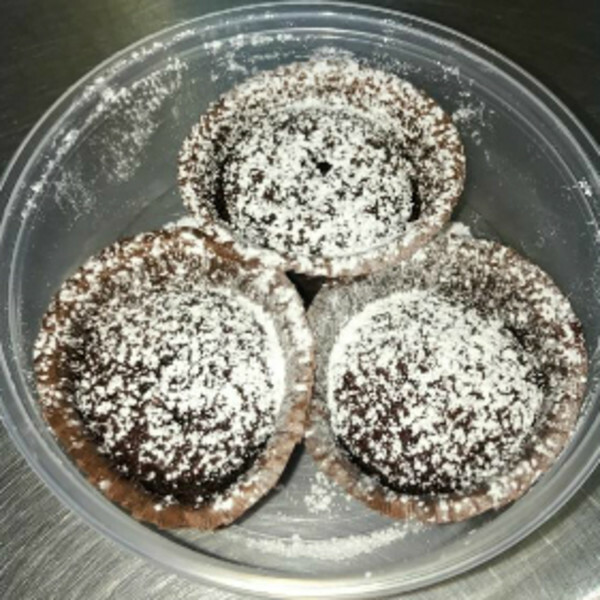 Our delicious Chocolate Protein Brownie Bites come in orders of 3 and are packed full of protein to help you power through your day!